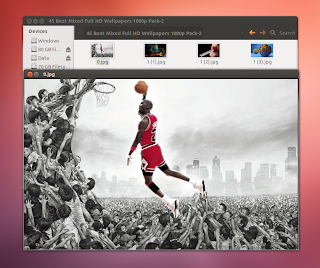 Ubuntu 12.04 LTS Precise Pangolin is scheduled to be released on April 26th, this review will give you a good idea on what to expect from this release. While it is a very nice and stable release, you might still need to tweak a few things to make it more usable for you. Here are a few things I would recommend. As always on a freshly installed system, make sure that all the major official repositories are enabled in your Software Sources, choose a better server for updates and installation of packages if necessary, and configure the update options. To go about that, you may first want to make the Software Sources tool easily accessible from anywhere else than just the Software Center, the Update Manager, or Synaptic (not installed by default, see below for that). That's because in Precise, Software Sources is hidden by default, as opposed to all previous versions of Ubuntu. But this can be easily fixed, we're just going to place a copy of its .desktop file (launcher) into your home directory, to protect it against any package updates, and change the concerning setting inside of it. 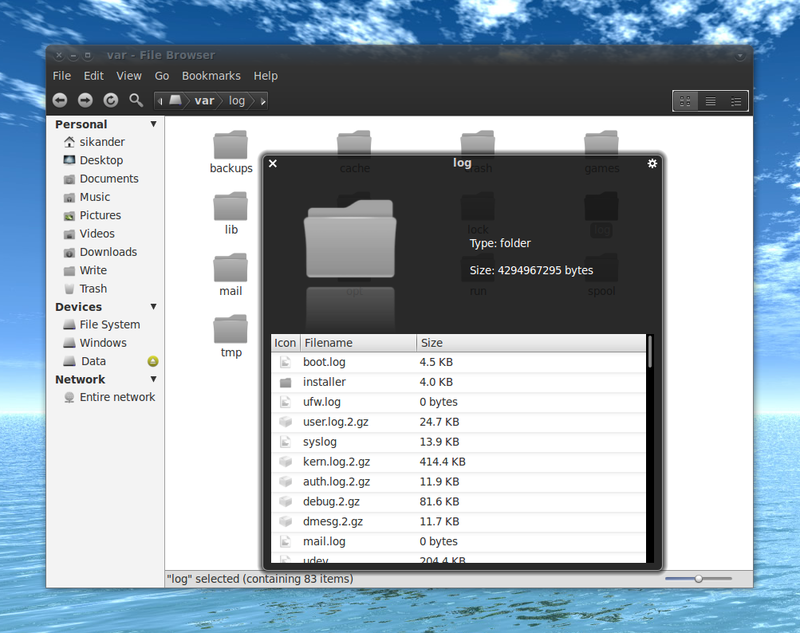 You need to relogin for 'Software Sources' to show up in the Dash or the classic Gnome menu, respectively. 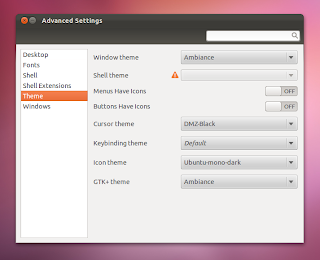 Open 'Software Sources', either via 'Edit > Software Sources' from the Software Center, or if you've done the above step, simply via the Dash or the classic Gnome menu, respectively. 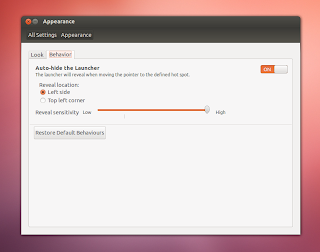 By default, a country-specific set of servers for updates and installation of packages is automatically chosen based on your location when installing Ubuntu. But if the chosen server set is too slow and you want to switch to a better, specific server, in the drop-down menu for 'Download from', choose 'Other'. In the new dialog window that pops up, click on 'Select Best Server' to start pinging the available servers. When it's finished, the most responsive server is displayed and selected, then just hit 'Choose Server' to confirm the selection. While we are already here, also set up the update options to fit your preferences, under the 'Updates' tab, obviously. 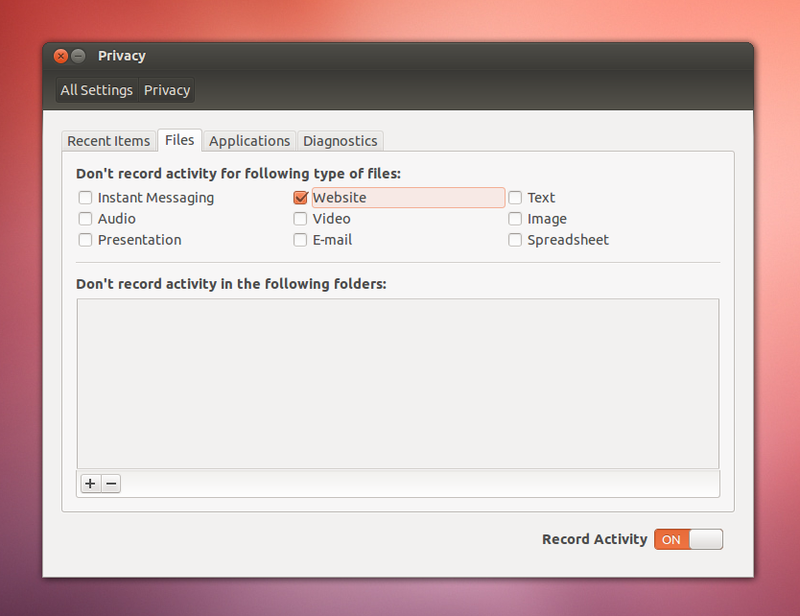 I'd recommend selecting only the 'security', 'updates' and 'backports' channels under 'Ubuntu updates'. What you select under 'Automatic updates' is entirely up to you, though I'd recommend setting the update interval to 'Weekly' and both of the options below of that, controlling the update behaviour, to 'Display immediately', for a good balance between update frequency and control. Obviously, to revert it to the default behaviour, just replace 'false' with 'true' in the command. Also, it's, of course, a good idea to use the Update Manager straight away after this to update your system to the most recent state. GDebi was dropped some time ago and you might already know how to switch back to it. The same applies to Synaptic Package Manager, which was dropped with the release of Oneiric 11.10. Both of these, however, are still the first choice for me over the Software Center, and both can be easily installed from the official repositories. 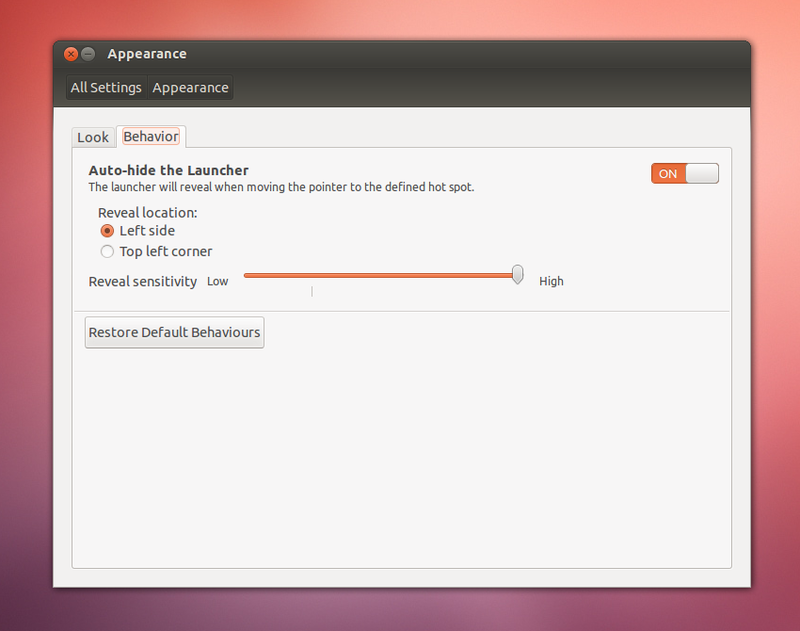 By default, the Unity Launcher in Precise is set to 'Always Show'. 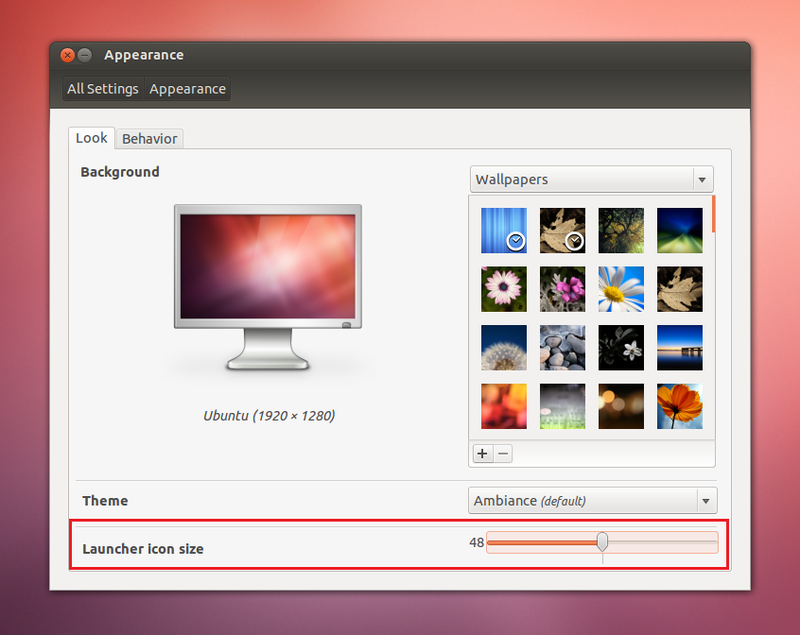 If you want to auto-hide it, or adjust the size of the Launcher icons, right-click on the desktop and choose 'Change Desktop Background'. There, you've got these basic options under 'Look' and 'Behavior' tabs, respectively. 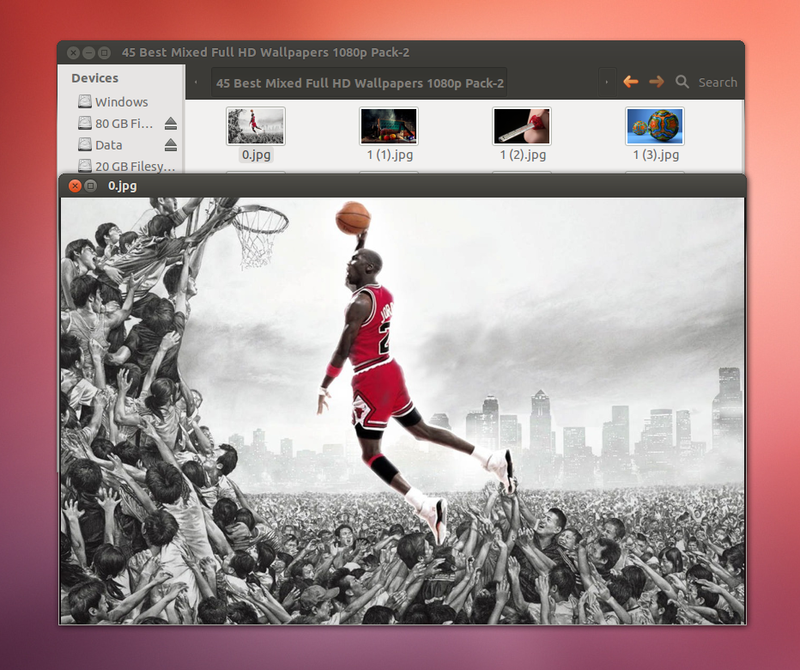 If the regular Unity doesn't work well for you, you can try Unity 2D by choosing 'Ubuntu 2D' as the session option at the login screen. And later, you might want to tweak a few Unity 2D settings which aren't otherwise offered the same way as for the regular Unity. 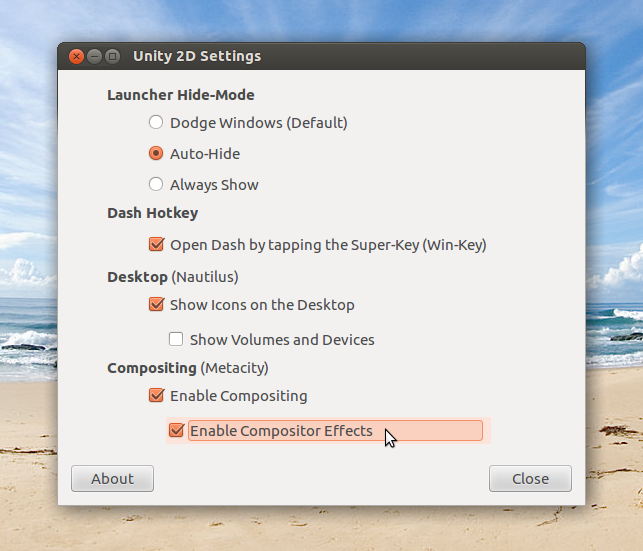 For tweaking the Launcher's hide behaviour, desktop handling, and compositing effects, you can install our Unity 2D Settings GUI from our PPA. Now search the Dash for 'CCSM' and open it. 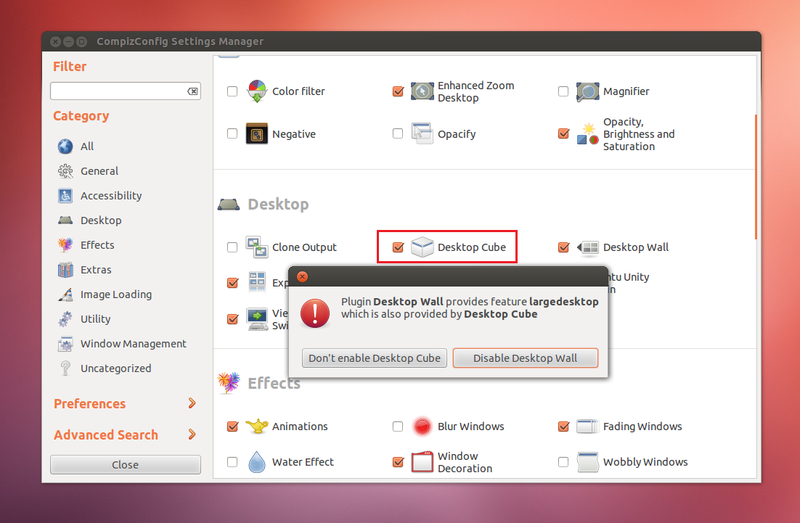 Under 'Desktop', simply tick the checkbox beneath the 'Desktop Cube' plugin. 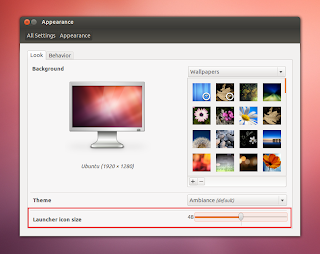 In the dialog that pops up, choose 'Disable Desktop Wall'. 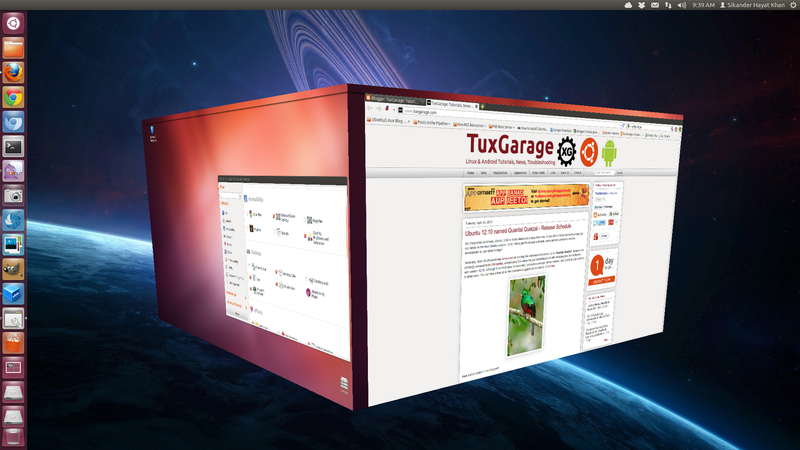 Compiz would reload in 10-20 seconds and you've now successfully switched to the Desktop Cube! For having a perfect Cube, from CCSM, go to 'General > General Options > Desktop Size' and change 'Horizontal Virtual Size' to '4', and 'Vertical Virtual Size' to '1'. 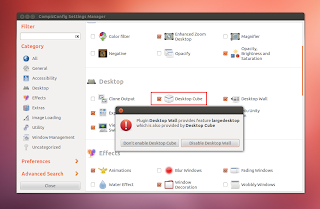 Additionally, you will also want to enable the 'Rotate Cube' plugin under 'Desktop' for rotating the Cube, obviously. Notice that it will show up as 'Advanced Settings' in the Dash or the classic Gnome menu, respectively, contrasting the name of its package and executable. If you want a 'real' screensaver, and not just a plain blank screen, as well as a somewhat nicer lock screen than the default one, you definitely gonna need to install XScreenSaver, an alternative to the now severely crippled Gnome Screensaver. You might want to take advantage of the newly added 'Privacy' settings and tweak them according to your needs, so that you don't end up with unwanted recent websites or files in your Unity Dash. Go to 'Power Menu > System Settings > Privacy' and choose which file type activities you want to log and which ones you don't. You can add folders for which you don't want to log any history, and under the 'Applications' tab, you can also add applications for which you don't want to record any activities. 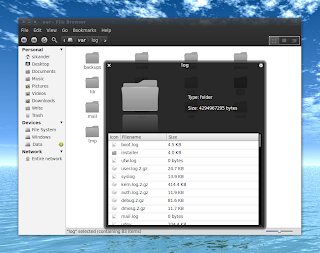 For slick and cool file previews in Nautilus (file browser), you currently have two equally popular options at hand: Gnome Sushi and Gloobus Preview. Both are very lightweight and are supporting a wide range of files of almost any type. 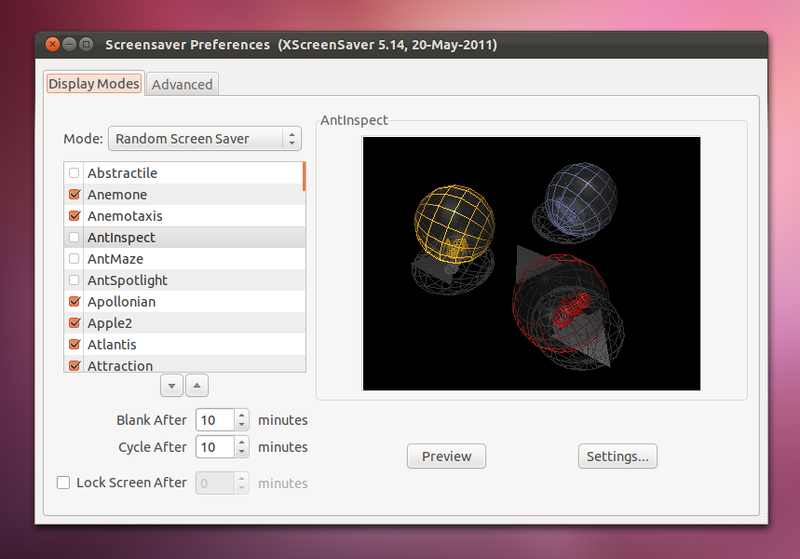 And both can be brought up by simply hitting the <Space> bar after selecting the desired file in Nautilus. Just try which one works better for you. Obviously, you need to restart LibreOffice for the change to take effect.